Scanning your document from Mac computer should not take much effort since we’re having different ways you can do this and modern scanners that are now developed are more sophisticated to make everything goes swiftly. I’d like to discuss two ways you can scan document on Mac OS X system. To scan the document using the scanner, connect the scanner to the computer, make sure you use the appropriate USB cable and plug to the appropriate port on the Mac system, go to file on that specific page and click on the import button. You can set other preferences like the resolution, size, the format to save your files and others. Click on the icon for printing and scanning and select your scanner from which you want to scan the document and click print, another option would pop up and you can now select Scan. Set the color, either “Black and white” or “Text”, Select the resolution at which you want to scan the document, the paper size and how the content is going to fit onto the page, that is, the soft copy of your document, and also the orientation. If your scanner machine can make duplex scanning, Here you can select whether you want to scan duplex from the ADF and select the destination folder or the target application. Enter the name you want to assign to your scanned file and Choose the file format. Also, you can make some adjustment on the brightness, color, saturation of the file and others. If you’re using image capture application, you can use the image capture with Mac OS X 10.7, however the ICA scanner driver must be installed. 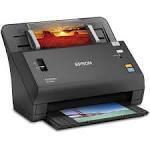 For some models, CUPS printer drivers are installed or Mac OS X 10.7 has the ICA scanner driver. Just bought a new HP printer and it’s working on high speed, I like scanning with it unlike the previous one.